Oceania Cruises has announced the dream cruise which lasts for 180-days and sails all around the world. This truly is the ultimate journey with special offers and shore excursions. The luxury cruise line is going to sail an epic world cruise which will span 180-days, 44 countries, six continents, and three oceans. The Insignia cruise ship will offer this experience when it departs Miami, Florida on January 9, 2021. The voyage will end in New York on July 9, 2021, after completing an impressive 39,000 nautical miles. The ship will visit 100 ports of call including three days in Istanbul and additional overnight stays in stunning destinations such as Bora Bora, Cairns, Hong Kong, Saigon, Bangkok, Singapore, Mumbai, Dubai, Luxor, Jerusalem, Venice, Lisbon, Seville, and Bordeaux. The wold cruise will include shore excursions with overnight experiences in port and Oceania Cruises will provide five exclusive shoreside events for guests. This epic cruise is backed up by plenty of savings and perks along with the choice of 70 free shore excursions, free beverage package, or free $7,000 shipboard credit. There will also be free gratuities with a value of up $8,200, free pre-cruise luxury hotel stay, free luggage delivery, free roundtrip transfers, free onboard laundry services, free internet, and free medical care. Insignia is a luxury cruise ship which joined the fleet in 1998. The vessel is over 30, 200 gross tons and has a guest capacity of over 680. 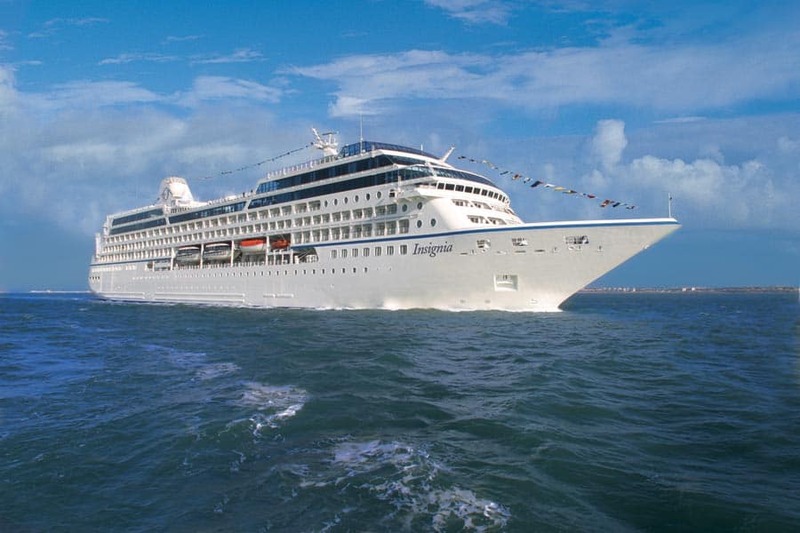 Oceania Cruises has apologized to guests after the Riviera luxury cruise ship was delayed arriving back at PortMiami, Florida due to a crew member who passed away.